What did we learn from the Hungarian GP? Well, we saw that it was Mark Webber’s day. He outdrove everyone, pulling out over 20 seconds on the second and third placed drivers, enough time to make a stop and rejoin in first place. Webber described the race as “it was a bit of a gift today for me. But I have not had many of them, so I will take today’s.” I agree that a win is a win, is a win, but Webber’s performance was exemplary. We also learned that Vunderkid Vettel is too young to be in F1. His immaturity really came through with a first class pout on the podium after coming third, following his drive through penalty. In Sulky Seb’s words, “Well, as I said I did not understand inside the car what was happening and I still do not really understand why I did get a penalty. In the end I should have won. For some reason it did not happen and we finished third.” The poor little dear! Ferrari had no team orders and second and fourth (Alonso-Massa) was as good as they were going to get. When the Safety Car went out, the pits descended into some sort of slapstick comedy routine, with Renault releasing Kubica into the path of Sutil in the Team Poppadum, resulting in too much damage for Sutil to continue, and a drive-through penalty and subsequent retirement for Kubica and a $50,000 fine for Renault. To add to the pandemonium, Rosberg’s Mercedes was released without the nut being tightened on the right rear wheel, with the wheel then hurtling down pit lane and fortunately nobody was severely injured. That was the end of Rosberg’s race, and the FIA extracted another $50,000 from Mercedes. This is nonsense. Will that stop this type of incident in the future? Of course it doesn’t. However, all the chaos in the pits, as everyone dives in for a stop when the Safety Car is deployed, can be easily averted. Just make a rule that there is no pitting under the safety car. Simple, as there is no refueling these days. No crashes, no $50,000 fines (though the FIA might like the financial penalties). There would also be none of the re-arranging of the running order, waiting for cars to pass the Safety Car to get into position. More equitable and less dangerous. In fact, so obvious, that the FIA will not do anything about it! We all saw Michael Schumacher force Barichello to the pit wall in his attempt to stop being passed by the Williams driver, once his old team mate at Ferrari. Totally unnecessary and totally reprehensible. Schumacher was two seconds a lap slower than Barichello and no matter how much blocking he tried, Barichello was going to get past. Has Schumacher lost it? Is Schumacher now past it? Well the maneuver, as well as being downright dangerous, showed a total lack of considered judgment, especially from a seven time World Champion. He has been penalized with a 10 grid slot demotion next meeting, but he should be threatened with exclusion for the rest of the season for a repeat of that type of behavior. By comparison, rookies Petrov in the Lada and Hulkenberg in the Williams drove exceptionally well and deserved their fifth and sixth points finishes. Sauber’s De La Rosa also kept his nose clean and was rewarded with seventh and Kobayashi had a storming 23rd to ninth. McLaren had a weekend to forget, Hamilton tried hard but broke his car, while Button did not drive like a current champion, saying that he tried to go four wide on the first corner but got stuck on the outside and lost four or five places. Forgivable mistake in a new driver. Unforgivable in a ‘World Champion’. As for the rest – mobile chicanes. Last week I asked how do you know if a ‘Traction Avant’ Citroen built between 1938-1940 and post-war 1948-1955 was built in the UK and not in France (and it wasn’t the placement of the steering wheel)? The correct answer was they were equipped with leather seats and wooden dashboards, very popular in the UK, had a 12 volt electrical system and were distinguished by a different radiator grille and different bumpers. Some models also had a sliding sunroof. So to this week. What car did Bob Lutz and Carroll Shelby put together? In the middle of all the banking crises, doom, gloom and disaster comes the news that Daimler-Benz second quarter revenue was up 28 percent and the unit sales of cars and commercial vehicles was also up by 27 percent. If you think those were good figures, try this – sales revenue in China was up 182 percent. 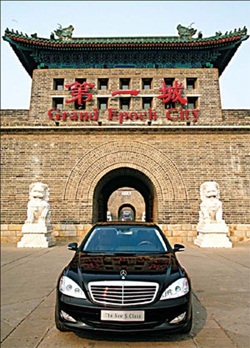 The Chinese are hardly barefoot on bicycles any more – they’re driving to work in a Benz! Even Asia as a whole was up by 85 percent. Last year, Daimler-Benz were in the red, but they have managed an amazing turnaround. After some sales glitches in the past, this is certainly a staggering result for the German automaker. 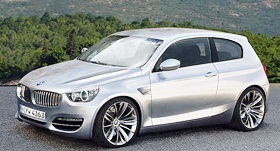 BMW to expand production in Thailand? BMW is making overtures to the Thai government regarding having a production base in Rayong for electric vehicles. BMW currently has the Mini E which is being trialed throughout the world, including Hong Kong and also has the Mega City Vehicle project which is slated to reach dealerships in a couple of years, another electric vehicle. These electric vehicles do not come under the Thai eco-car legislation and BOI privileges, as that is solely for small capacity gasoline engines, so it will require some lateral thinking from the government departments involved, not renowned for thinking sideways. BMW has had excellent returns in the past 12 months, despite the global crisis and internal Thai conflicts, quoting a 56 percent increase in sales in Thailand. The manufacturing output from the Rayong plant is predicted to top 3,000 vehicles this year, a 50 percent increase over last year’s 2,000 units. 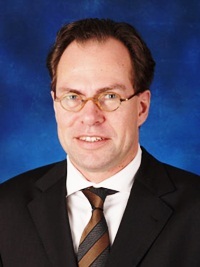 With the Thailand sales figures for its vehicles showing a very positive trend, GM’s president of GM Thailand and GM South East Asia Operations, Martin Apfel, has announced that his company is forging ahead with the diesel engine plant in Rayong. This plant will supply the region with the new diesel engines, and with SEA sales rising almost 23 percent, this bodes well for the Thailand enterprise. The predicted continuing increase is expected to include a USD 1.6 billion annual budget for local components, all of which gives local Thai industry a more secure future. The Institute of Advanced Motorists (IAM) says pedals and Pimms don’t mix, and cautions that if you are planning to have a few drinks at a party this summer don’t cycle home. Although drink-driving is socially unacceptable, many people wouldn’t think twice about cycling home after consuming more than the legal blood-alcohol limit for driving. Neil Greig, IAM Director of Policy and Research said, “Cycling crashes are underreported, and we need more research into hospital-based records to see how big this problem really is. A lot of cyclists that fall off under the influence just go to ER, meaning the police never record the incident. “Many people will have a bit of a wobble on the way home, but while you may be of less risk to other road users than when in a car, you could easily fall into a dangerous situation or cause someone else to swerve and crash to avoid you. 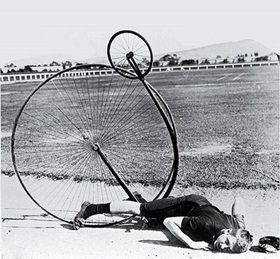 If your cycling does result in a collision you are likely to come off worse. In the UK, anyone riding a bicycle under the influence of drink (or drugs) to such an extent as to be incapable of having proper control of it on either a road or other public place, can be fined up to ฃ1,000. So if you’re planning to use any public right-of-way with excessive levels of alcohol in your body this summer, then you are better off in a cab or getting a lift, says the IAM. 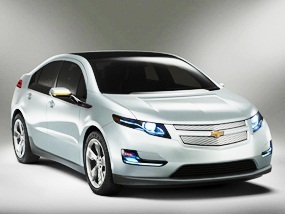 The Chevrolet Volt now has a price tag (in the US) of $41,000. The project has been developed over the last four years, and it seems that the initial sales will be in specially selected states in the US, beginning with California. The car should be available in the GM dealerships later this year. Whilst $41,000 does not sound too much for us in Thailand, that price is around $5,000 more than a Cadillac in the US. The Volt differs from the Nissan’s electric car, the Leaf, in that it has an on-board four cylinder gasoline engine which can generate electricity to extend the range of the vehicle from 64 km on battery alone, up to around 500 km. Performance figures are also good, with a top speed being quoted as 160 kmh and a zero to 100 kmh time of 8.5 seconds. Recharging will be overnight for the Americans on their 110 volt sytem.